The UN Refugee Agency estimates more than 65 million individuals are fleeing their homes due to war, persecution and violence. Among them are nearly 25 million refugees (over half of whom are under the age of 18), 40 million people internally displaced within their countries, and almost 10 million stateless people who have been denied a nationality and access to basic rights such as education, healthcare, and employment. We recognize the importance of this extraordinary challenge and work to assist governments, UN agencies, and key stakeholders to evaluate programs and policies to better understand what works, and implement evidence-based interventions that protect the rights and dignity of those forcibly displaced. AIR’s research in this area includes evaluations of education programs in refugee camps and cash transfer programs. Lebanon hosts 1.5 million Syrians who have fled conflict in Syria, as well as 34,000 Palestine refugees from Syria. Over half of the school-aged children in this population are not enrolled in a certified education program. AIR designed and implemented an impact evaluation of the No Lost Generation ("Min/Ila") child-focused cash transfer program; this report shares the findings from that evaluation. As a result of the Syrian conflict, Lebanon has one of the highest per capita ratios of registered refugees in the world. Despite efforts by the Lebanese Ministry of Education and Higher Education and its partners, approximately half the Syrian children of primary school age in Lebanon did not attend school in the 2015/16 school year. This paper documents the impact of a cash transfer program on the school participation of displaced Syrian children in Lebanon. For millions of children in developing countries, education can be the key to improving their lives and communities. Research and application demonstrate that programs can be successful in fostering literacy, numeracy, and critical thinking; developing teachers; and increasing educational opportunities for children and youth. Although the use of cash transfers in social safety programming in Africa is relatively well documented, existing evidence on the use of cash transfers for humanitarian aid purposes in Africa is limited. UNICEF and three partner organizations collaborated to deliver what was at the time the single-largest unconditional cash transfer programme for humanitarian response in the Democratic Republic of the Congo. Based on an analysis of extensive quantitative and qualitative data collected by the ARCC partners, as well as additional qualitative data collection in the field, AIR and UNICEF used evaluation methods to investigate the effects of the ARCC II programme. The sudden influx of Syrian refugees into Lebanon has created an education crisis in Lebanon that affects Syrian and vulnerable Lebanese children. 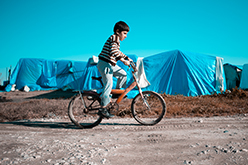 AIR and the UNICEF Office of Research–Innocenti are leading an independent impact evaluation of Min Ila, a cash transfer program for displaced Syrian children in the governorates of Mount Lebanon and Akkar. Created by UNICEF Lebanon in partnership with WFP and in cooperation with MEHE, the program is designed to address the income-related barrier to school attendance alongside existing interventions addressing non-income constraints. The challenges of providing quality education to refugees are particularly pronounced in Kenya, which hosts hundreds of thousands of refugees in Kakuma and Dadaab, the largest refugee camp complex in the world. AIR is partnering with the World University Service of Canada and its local partner Windle Trust Kenya to rigorously evaluate the impact of the Equity in Education in Refugee Camps in Kenya program, which provides remedial education to grades 7 and 8 girls. The UN Refugee Agency estimates more than 65 million individuals are fleeing their homes due to war, persecution, and violence. Reinforcing a protection and development nexus is critical to forming policy, practice, and systems change that will serve crisis and conflict protection interests as well as the long-term development context. AIR offers a broad range of services in areas that support our human rights and refugee initiatives. We are committed to applying and producing the best evidence and the highest quality work. Our quality assurance process encompasses all stages of a project, from research design to evidence-based conclusions and recommendations, to implementation and scale-up. Violence against children is an enormous challenge in Haiti. Recovering from political instability and natural disaster, Haiti has a weak service delivery system, as well as inadequate response and referral systems for child protection. There are ongoing efforts to quell family and community violence in Haiti, and AIR is working with a variety of local child protection stakeholders to address patterns of behavior and attitudes towards violence, abuse, neglect, and exploitation of Haitian children. The Kiziba Refugee Camp in western Rwanda houses primarily Congolese refugees who fled the Democratic Republic of the Congo (DRC) in 1996. Of the more than 17,000 refugees, over 8,100 of these are youth under the age of 18, the majority of whom have lived in the camp since birth. Despite the establishment of an upper secondary education program, a large population of young adults remained unable to pursue university degrees. AIR, Kepler, and the University of Maastricht, are partnering to rigorously evaluate the scalability, efficiency, and effects of the Kepler program in Kiziba. The number of people displaced by war, persecution, or violence has reached its highest point since World War II—almost 60 million refugees and internally displaced people. Understanding the needs of teachers in refugee settings is critical to providing stability and continuity for children affected by displacement. What Can Be Done for Syria's Refugees? In response to the Supporting Syria in the Region conference in London, Susy Ndaruhutse of the Education Development Trust and AIR's Amy West call for a doubling of aid for education resources in the region from 2 to 4 per cent of all humanitarian aid. In What Can Be Done for Syria's Refugees, Ndaruhutse and West argue that increased pledges are not enough, and that we must re-learn the lessons of the Marshall Plan. Teachers are a critical resource for children in refugee and emergency settings. This article explores field research conducted in Algeria and Ethiopia, finding that cost-effective policies and technical responses that begin to address teacher retention challenges will affect student achievement, reinvigorate teaching forces, and attract new teachers to serve in even the most difficult contexts. Teacher quality is recognized as a primary driver of variation in student learning outcomes, particularly in refugee and emergency settings, but few studies have examined the factors that motivate or demotivate teachers in these contexts. 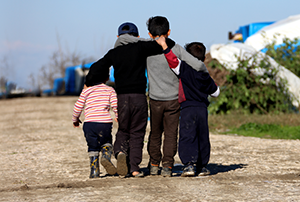 This article examines secondary source materials from academic experts and gray literature from United Nations agencies and nongovernmental organizations to identify seven key areas that affect teacher retention in refugee and emergency settings. Although there has been less experience with universal cash transfers (UCTs) in Africa, particularly in humanitarian settings, they are among the more promising options for delivering assistance. In order to help fill the evidence gap on cash transfers in humanitarian settings, AIR partnered with UNICEF-DRC to compile and analyze data and lessons learned from the Alternative Responses for Communities in Crisis (ARCC) II program in the Democratic Republic of the Congo. Teachers are a critical resource for children in refugee and emergency settings. Teacher quality is recognized as a primary driver of variation in student learning outcomes, particularly in refugee and emergency settings, but few studies have examined the factors that motivate or demotivate teachers in these contexts. AIR was contracted by the Office of the United Nations High Commissioner for Refugees to conduct a literature review on teacher retention as well as three field studies in refugee populated areas of Algeria, Ethiopia, and Pakistan. Long Story Short: Why Is Education So Critical for Syrian Refugee Youth? The Syrian crisis has disrupted the education of Syrian youth and confounded the education systems in countries receiving them. 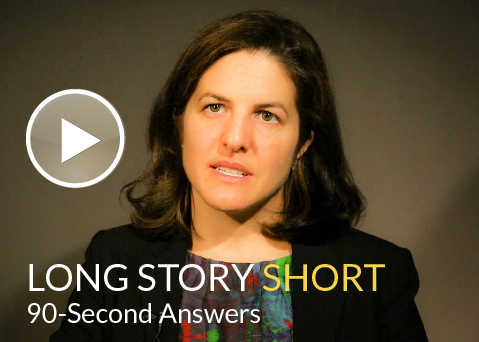 In this 90-second video interview, Amy West, principal project specialist at AIR, explains why education is so critical for Syrian refugee youth. In this commentary, AIR expert Amy West discusses the need for education and job skills training for displaced Syrian youth, a need that will require the help and cooperation of education ministries, donors, government officials, and others from multiple countries.